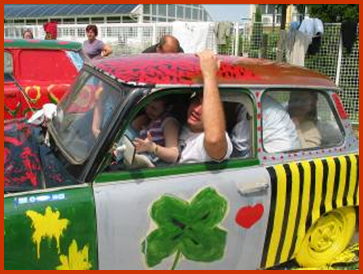 GoTrabiGo has disposal of the currently biggest Trabant park both in Hungary and in CEE region, 25 cars at this moment. 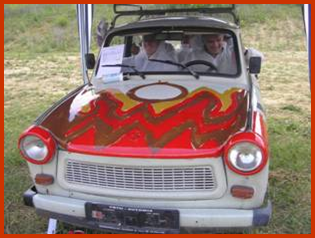 During the development of the car fleet one of our most important aims was that each and every Trabant has its own exciting and unique features, so there are cabrios, old timer and rally Trabis among the cars. 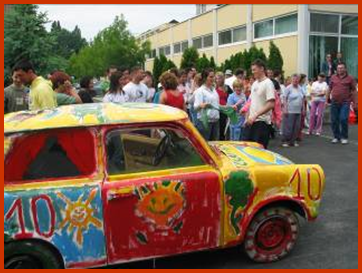 The convoy of GoTrabiGo multi-colour car fleet makes a cheerful splash everywhere it goes.